This program is delivered in advanced and intermediate levels. 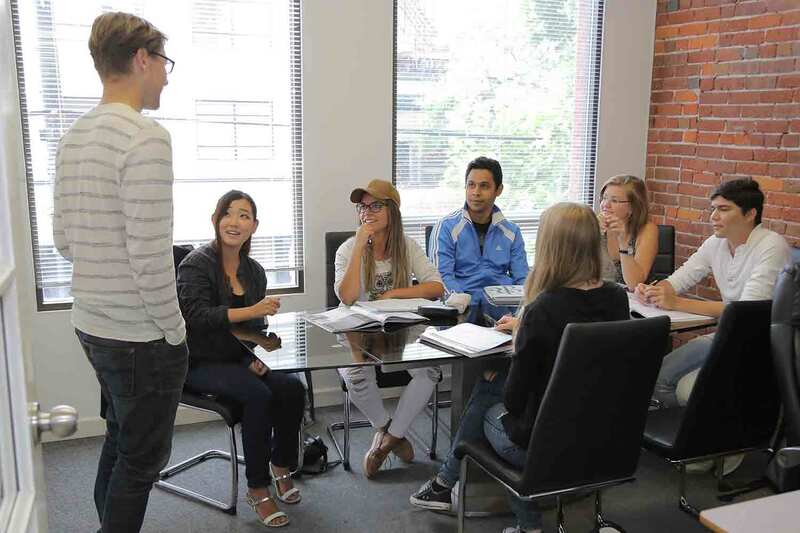 In the University Preparation – Intermediate students are introduced to academic English and skills while still learning grammar and other general English skills that are needed at this level. Successful completion of VGC’s University Preparation Program prepares you for your academic career at a university in Canada. It will allow you to gain the necessary language requirements for acceptance and direct entry into our partner colleges or universities. This program is delivered in intermediate and advanced levels. In University Preparation Intermediate you will be introduced to academic English and skills while still learning grammar and other general English skills that are needed at this level. In University Preparation Advanced, you will focus less on general English skills and more on English for Academic Purposes (EAP) ensuring you are university ready. Hundreds of VGC students have enjoyed our seamless entry to a post-secondary program. A student who successfully completes our University Preparation course can use our Pathway Program designed for direct entry into our selected group of post-secondary partners (this means there is no need to write an IELTS or TOEFL test). Whether it be a diploma, bachelor’s or master’s degree, VGC University Preparation students can use their University Preparation scores as proof of English language level. have learned how to listen to lectures and take effective notes. have read critically with a healthy level of skepticism. have written effective essays, arguing a case, supported by reading and empirical evidence. have delivered university level oral presentations. have developed exam strategies to better your results. Receive personal speaking and writing feedback from a teacher who specializes in English for Academic Purposes (EAP). Every two weeks your teacher will have a one-on-one meeting with you to discuss your progress. Our university pathway administrator will help you choose and apply to your future school. We personalize your university preparation and ensure that your study plans will be successful so you can go to the university of your choice in Canada. Field trips to our partner schools in Vancouver and guest lectures from our pathway partner schools. For information on our partnering universities and colleges in Canada and the USA please visit our University Pathways page. UP intermediate and advanced levels consists of 16 weeks of curriculum each. Students can start every main start date. Please check the VGC’s calendar here.